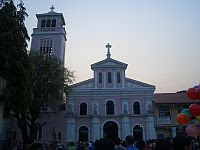 A favorite pilgrimage site for Catholics, the Our Lady of Manaoag, revered patroness of the sick, the helpless and the needy draws the faithful to the shrine in Manaoag, Pangasinan. 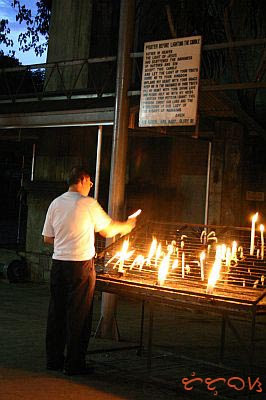 History of Manaoag shrine dates back to 1605 by its establishment by the Dominicans. The present church is a showcase of Romanesque architecture (the same one used by the Baclaran Church). The ivory image was brought from Spain by way of Acapulco and venerated by many faithful Catholics who flock to the site on pilgrimages. 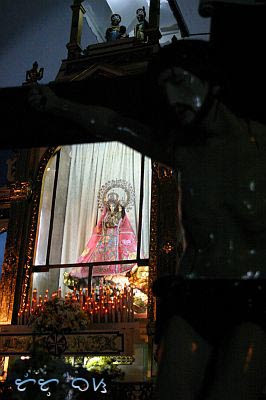 Feast of Senora de Manaoag: The fiesta of the Lady of the Most Holy Rosary popularly known as Señora de Manaoag, is celebrated on the third Wednesday after Easter Sunday. Commute: Bus companies Five Star, Victory Liner, and Dagupan Bus Line with bus terminals in on EDSA Cubao, Quezon City, have daily trip schedules that'll take you directly to Manaoag Church. Fare is around PhP231 one way and thr trip takes about 4 hours. Other directions: Manaoag is bordered by Pozorrubio in the north, Urdaneta and Mapandan in the South, Binalonan in the east, and San Jacinto in the west all in Pangasinan. Pasalubong: look for tupig sold in the vicinity of the church. Even if I'm quite old, I always want to go for a back packer trip to your country - a very readable and interesting post - thanks for sharing! A wealth of information in your blog. my family used to go every year in may. i missed that traditional annual visit. i wish to go back there and hear mass not feeling too sleepy. Wow, that ivory image of the Madonna is one great work of religious art. hi!!! is there a direct trip from baguio to manaoag??? nilalakad namin to tuwing good friday ... 3 hrs walking from urdaneta to manaoag ang saya kea !!!! hi sa mga taga urdaneta!!! Manaoag is our home sweet home! We can't wait to come back...soon! We are currently in the states but we'll definitely retire there. Glad to come across in your site. More power! Hello. My husband and I are planning to go to Hundred Islands and Bolinao for 4D3N. 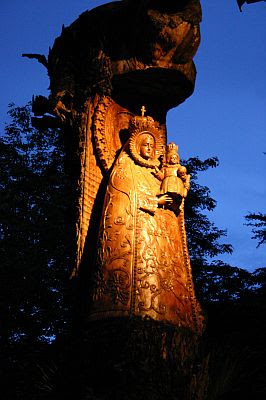 We are also considering going to Our Lady of Manaoag, how far is the Manaoag Shrine from Alaminos? What should we visit first? Thanks. how can i go to manaoag if i have a car? thank God for your blog - just has the information need to visit to manaoag. more power to you sir! hi.. im planning to go to this church this week. Can you please tell me how to get there? We'll be driving a van.. from Makati City.. Thanks much! Salamat po Mama Mary sa palaging paggabay at pagdarasal sa amin. Thank you Lord.